If it were up to many toddlers, they would use the potty, then immediately leap off the throne and go back to playing with their hands unwashed. That’s why, after the all-important flush, it’s time for us grown-ups to help guide children with their hand washing. Lather hands by rubbing them together with the soap. Be sure to lather the backs of your hands, between your fingers and under your nails. Dry hands using a clean towel or use an air dryer to blow them dry. Reinforce that we need to do it every time we use the potty. Provide a stable step stool for reaching the sink. Little kids love squirting foamy soap out of the pump or trying new scents and colors. To teach your child how long to scrub her hands, you can use a simple song, like “Happy Birthday,” “Twinkle, Twinkle, Little Star” or “Row, Row, Row Your Boat.” You’re aiming for 15 to 20 seconds’ worth of soaping up before rinsing. Assist with hand washing until you’re sure your child has gotten the hang of it. If you’re in a place where soap and water aren’t available, supervise your child as he uses hand sanitizer with at least 60 percent or more alcohol. Puppy personalities will love playing with the foaming soap and singing songs. Be sure to give them plenty of time to enjoy the process. Owl personalities will enjoy having “rules” on their chart and may also enjoy using a small timer to ensure they’ve scrubbed long enough. Turtle personalities will focus on the steps of the task. “Scrub, scrub … then comes the water.” Silliness helps your Turtle become more flexible. Bear Cub personalities will engage with a foam-filled sponge in the sink to “wash” a play dish or use an old toothbrush to scrub their favorite dinosaur. Squirrel personalities might blow a bubble with the soap or compare amounts of soap on each hand before rinsing the germs away. Don't know your child's potty personality? Curious? Take our brief Potty Personality Quiz to find out! 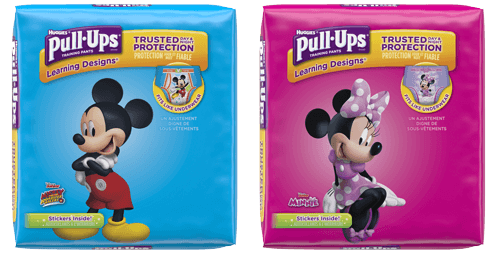 Then receive potty training lesson plans that are tailored to potty training your child.